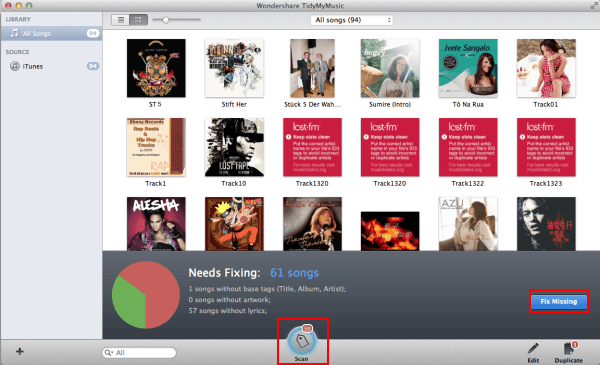 Use TidySongs to help delete duplicate songs in iTunes. You can choose to keep the song with the higher bitrate or the longer length. You will also decide if you would like duplicates to be identified as name, artist and album, or if just by name and artist. 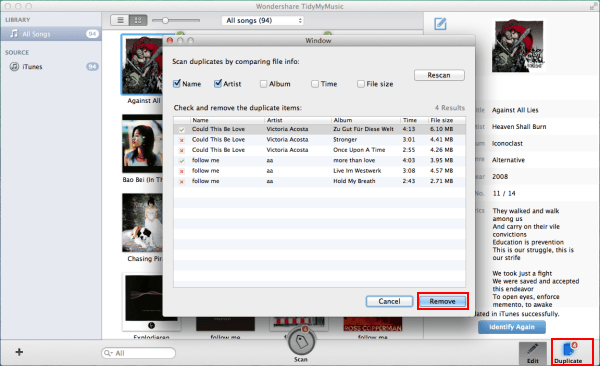 Then, you choose if you would like duplicates removed from iTunes and placed on your desktop (or the location of your choice.) You also have the option to add the word duplicate to the comments field of the song. Kick off TidySongs. 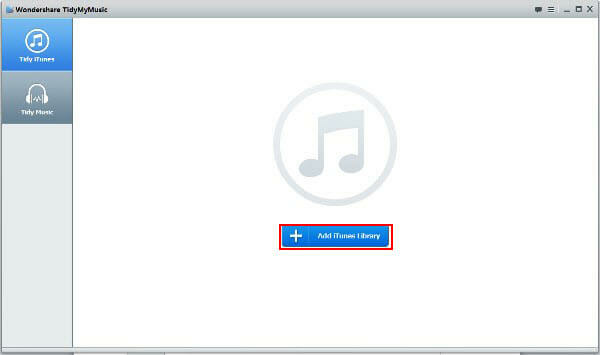 Import your music library to this program by clicking the button of Import iTunes Library or Import Local Files.